Mar 26, 2013 - Soul Food Junkies explores the history and social significance of soul food to black cultural identity and ... Lexington, KY 40508 United States. 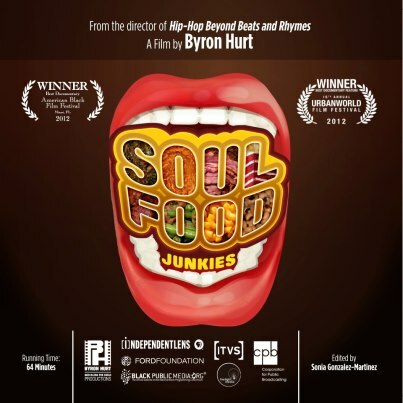 Soul food Junkies, which recently won the Best Documentary Award at the prestigious American Black Film Festival in Miami, Byron explores through his father in a personal way the health advantages and disadvantages of Soul Food, a quintessential American cuisine. Soul food has a rich history and an abiding significance to black cultural identity. But with its core celebration of all things fried and smothered, it has also had lasting effects on African Americans - health, both for better and for worse. Filmmaker Byron Hurt looks at the past and future of soul food - from its roots in Western Africa, to its incarnation in the American South, to its contribution to modern health crises in communities of color. In this documentary soul food is used as the lens to investigate the dark side of the food industry and the growing food justice movement that has been born in its wake. Soul Food Junkies is a powerful personal and thought provoking documentary that can ignite change in the health of our community. While the film is of particular importance to African Americans and soul food cuisine, it has an important message for all citizens of Kentucky! New York Times Runs Story on Soul Food Junkies! Soul Food Junkies Named One of 2012′s Best in Black Cinema! fried fish, barbecue chicken and ribs, candied yams coated with cinnamon and brown sugar, and other delicious but fatty foods right out of the black southern tradition. Both of his parents are from Milledgeville, Georgia, a small southern town. It’s a place where soul food is beloved by black and white folks alike. Soul food is a long held culinary tradition passed down from generation to generation, and is a source of pride for many black people. Some soul food, depending on how it is prepared, can be good for you. But when it is cooked with lots of fat, sugar, and salt — which is often the case — it can lead to obesity and other health issues. Hurt can speak from personal experience. From his earliest memories, his father was overweight, his mom the soul food chef. As an adult, growing concern about his father’s health prompted Hurt to confront him about his eating habits, but to no avail. Eventually, his father made small changes to his diet and began to exercise more, but the changes came too late in his life. In 2004, doctors diagnosed him with terminal pancreatic cancer, a virulent disease that disproportionately affects black people. Statistically, black Americans are more likely to die of the disease than whites; figures for 2001 to 2005 from the National Cancer Institute show that blacks had a 32 percent higher death rate. One of the risk factors for developing pancreatic cancer is a high fat, meat-based diet. Hurt’s father died in 2007 at the young age of 63. This is sadly a common story in the lives of many African American families in the U.S. — losing loved ones too soon from a nutrition-related illness. In Soul Food Junkies, Hurt sets out on a historical and culinary journey to learn more about the soul food tradition and its relevance to black cultural identity. Through candid interviews with soul food cooks, historians, and scholars, as well as with doctors, family members, and everyday people, the film puts this culinary tradition under the microscope to examine both its positive and negative consequences. Hurt also explores the socioeconomic conditions in predominantly black neighborhoods, where it can be difficult to find healthy options, and meets some pioneers in the emerging food justice movement who are challenging the food industry, encouraging communities to “go back to the land” by creating sustainable and eco-friendly gardens, advocating for healthier options in local supermarkets, supporting local farmers' markets, avoiding highly processed fast foods, and cooking healthier versions of traditional soul food. Byron Hurt is an award-winning documentary filmmaker, published writer, anti-sexist activist, and lecturer. Hurt is also the host of the Emmy®-nominated series, Reel Works With Byron Hurt. The Independent named him one of the "Top 10 Filmmakers to Watch" in 2011. His most popular documentary, Hip-Hop: Beyond Beats and Rhymes, premiered at the Sundance Film Festival and was later broadcast on Independent Lens. In 2010, MSNBC's TheGrio.com named Hip-Hop: Beyond Beats and Rhymes one of the “Top 10 Most Important African-American Themed Films of the Decade.” Hurt’s writing has been published in several anthologies and his work has been covered by The New York Times, O Magazine, AllHipHop.com, NPR, CNN, Access Hollywood, MTV, BET, ABC News World Tonight, and many other outlets. Press - AliCenter.org - the Muhammad Ali Center! January 28, 2014, Muhammad Ali Center Announces Kentucky Commission on ... at Muhammad Ali Center to Coincide with Light Up Louisville on November 29 ... March 11, 2013, Muhammad Ali Center Hosts Screening of Soul Food Junkies. LOUISVILLE, KENTUCKY! Soul Food Junkies will screen at the Muhammad Ali Center tomorrow, March 25, 144 Sixth St, Louisville, KY. from 6-9 p.m. The event. ... show “Soul Food Junkies” on March 25 at 7 p.m. in the Center's auditorium, 144 N. Sixth ... For those unable to attend the Muhammad Ali Center event, the University of Louisville will host a screening of “Soul Food Junkies” ... Louisville, Ky.
Mar 12, 2013 - "Soul Food Junkies" will be shown on March 25 at the University of Louisville (2 PM) and the Muhammad Ali Center (6 PM) in Louisville; on March 26 at ... of SOUL FOOD JUNKIES at the Lyric Theatre in Lexington, Kentucky! Nov 6, 2013 - Your Home for Food Justice Happenings in Louisville, KY! ... “Ali Center, U of L plan free showing March 25 of soul food documentary.” ... the film “Soul Food Junkies” on Monday, March 25, at 7 p.m. in the center's auditorium. Mar 22, 2013 - “Soul Food Junkies” showing at Ali Center. Monday, March 25 ... at this link: http://www.louisvilleky.gov/CSR/Compliance+and+Administration/. Mar 21, 2013 - borhood Association Youth Advocates, Fresh Stop, Kentucky State Extension, .... March 25th: Showing “Soul Food Junkies” at Ali Center. January 17, 2014. The Trials of Muhammad Ali. Louisville, Kentucky. Friday, January 17, 2014 at 5:30 PM. Muhammad Ali Center. 144 North Sixth Street. Mar 28, 2013 - Soul Food Junkies - Film, Talk & Food Testing. 8. ... S.O.U.L. Book Sort at the Kentucky School of the Blind. 25. 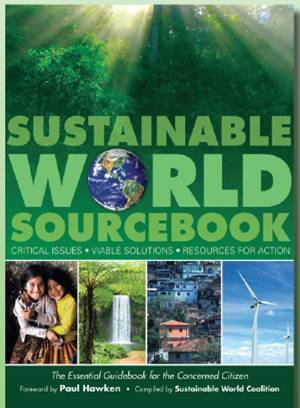 Online ... Institute for Social Justice Research, Ali Institute for Peace & Justice, and the Ali Center co- sponsor. 8.